SAT Score Range: What’s a Good SAT Score for Colleges? Are you wondering if your SAT scores are good enough for your dream school? In this post, we’ll help you figure out the SAT scores you should aim for, the SAT score range you need for top colleges, and answer your frequently asked questions about the SAT score scale. As a bonus, our quick diagnostic quiz will help you predict your SAT scores. What Is a Good SAT Score for College Admissions and the Ivy League? What Is a Good SAT Score Range for Scholarships? What are the different types of SAT scores? Why are there so many different scores? What are SAT percentiles, and how can I find my percentile? How does the SAT score scale compare to other tests (PSAT, ACT, and more)? How can I improve my SAT scores? Diagnostic Quiz: How Will You Score on the SAT? A good SAT score range in senior year is 1200-1400+ (out of 1600 points). For juniors, a good SAT score is around 1400. Freshmen and sophomores should take the PSAT over the SAT. However, a good SAT score range for freshmen is 1200+, and 1300+ for sophomores. You’ll receive two sectional scores, one Math and one Verbal (combined from the Reading and Writing sections). The average SAT score on each section is 500 points, give or take 30 points (the average composite score in 2018 was 1068). Your Math and Reading/Writing sectional scores add up to a composite (combined) score. The highest composite score you can earn on the SAT is 1600 points. The average composite score is 1000 points. We highly recommend that you take the PSAT rather than the SAT if you are a sophomore or a freshman. You don’t have to include the score on your college apps, and it puts you in the running for National Merit Scholarships! Colleges don’t give preferential treatment to those who take the SAT at a younger age. You can take the SAT as a freshman, get a 1200, and then never take the SAT again. That 1200 actually isn’t any different from a senior’s 1200. Yet, given that at least on average, students become more intellectually mature in an extra year of schooling—vocabularies enlarge, a sense of proper grammar becomes more fine-tuned, the ability to concentrate increases slightly—a senior might expect to see a 50-point increase in an SAT score. That might not seem like much, but going from a 1450 to a 1500 does look like a big deal on paper. With that said, if you take a good SAT practice test before your junior year…1300+ is a great score for a sophomore, while 1200+ is a fantastic score for a freshman. But that’s only if you’re willing to continue to put in work on the SAT as you progress through your coursework! Otherwise, you’re more than likely to see your score stagnate pretty seriously. You may be wondering whether you should take the SAT as a junior, or wait until senior year. Provided that you continue to pay attention in school and you continue to do some SAT prep in your spare time, you will probably do a little bit better as a senior, but not by too much. A good SAT score for a junior, therefore, is about 50 points less than what a good SAT score is for a senior. If you are a junior and you have enough time to study, then getting close to 1400 is a good score. A good SAT score for a senior really depends on the schools you are applying to, your current GPA, and a host of other factors, such as your essay or extracurricular activities. 1200 is a pretty good score; 1300 is clearly a good score and 1400+ is a great score. What Is a Good SAT Score Range for Colleges? Now that you know the general SAT score range to aim for, let’s take a closer look at good SAT scores for your dream school. Just to make things a little easier on you, we’ve put together this table of SAT score ranges for the top universities in the United States. The numbers are from the middle 50% score range (meaning 25% of admitted students had lower scores and 25% had higher scores). Expand the table by or type the name of your chosen school in the search box to find its the middle 50% SAT score range! We’ve also put together a table showing the middle 50% SAT score range for Ivy League schools. For more information on a few of these top schools’ scores and what they’re looking for, check out the following posts. Enjoy! Many colleges around the country have what are called guaranteed scholarships. These scholarships are automatically awarded to accepted students who have earned a certain SAT score. A larger number of colleges also have general merit scholarships. These scholarships have the same SAT requirements, but you are in competition with other accepted students for a limited number of awards. These scholarships may require a separate application, along with a personal or themed essay. Scholarships based on academic merit often have minimum SAT scores provided in their descriptions. Take note of any SAT score requirements you find during your research, then average all those scores. The result is your minimum SAT score goal for scholarships. To see the types of scholarships out there, check out our article What’s a Good SAT Score for Scholarships? First, there are three “test scores” for the Reading test, Writing and Language test, and Math test. Each one of these tests will be scored on a range of 10 to 40. This score will correspond to how many questions you missed on each section and is adapted to fit the SAT score range. The two scores, one from the Reading test and one from the Writing test, will be combined to give you a Verbal score on the 200-800 SAT score range. The Math score on the 10-40 SAT score scale will be converted to a final score from 200-800. Add these together and you’ll have your overall SAT score. So the SAT doesn’t have a science section like the ACT does, but it does have “cross-test scores.” Essentially, these are questions that are science-related, whether they are in the Math section, the Reading section, or the Writing section (hence the name “cross-test”). There are also cross-test scores related to history/social studies. Each score will be on a scale of 10 to 40. The College Board wants to give college admissions officers as much information as possible, so we have seven subscores. The first two relate to reading comprehension, the next two relate to writing, and the last three relate to math. Each of these subscores is on an SAT score scale of 1 to 15. If you’re taking the essay, you’ll have three scores based on the 50-minute writing sample you’ll have to cough up after working on the test for three hours. Two graders will be scoring your essay. Each grader will give your essay a score (1-4) for each of three different criteria. So a possible SAT essay score might look something like this: 7 reading/5 analysis/6 writing. Why are there so many different scores? How important are they? The SAT wants to give schools a better breakdown of your skill set. Colleges that want to know the difference between two very similar candidates in terms of SAT scores can learn a lot more with cross-test scores and subscores. At the same time, colleges don’t want to be inundated with all this information for each of the thousands of candidates they look at. That way they can start with your test scores and if they want to dig deeper, they can look at these other scores. For example, let’s say you get the same Verbal score as another candidate. To get a better sense of your performance, colleges will likely look at how you did on the Reading section and how you did on the Writing section. They might find that you did very poorly on Reading yet thrived in Writing, while the other candidate was average in both sections. This relates to an idea called equating, which allows the SAT to compare scores between different tests. But it’s pretty technical and the statistics folks over at College Board take care of this–you just have to look at your score. Your SAT percentile measures the percentage of test-takers who got a lower score than you did. This means that percentile numbers, much like score numbers, indicate better test performance when they’re higher. If you’re in the 91st percentile, for example, it means that only 9% of all other SAT scores are higher than yours. In contrast, in the 30th percentile, 30% of all other test takers would have lower scores than you… and roughly 70% of the SAT scores were higher than yours. This would place you in the bottom half of the year’s test-takers, in terms of performance. SAT percentiles are calculated annually. Below are the College Board’s most recently released SAT User percentiles. How does the SAT score scale compare to other tests? PSAT scores range from 320-1520. Because it’s an easier test, a perfect PSAT score corresponds to a 1520 on the SAT. But otherwise, your PSAT score will correspond to what you’d likely get on the SAT if you took it right after the SAT (not as in the very same day, but you know what I mean). The PSAT for sophomores and juniors has two primary functions: to see if you qualify for the National Merit Program and to give you a sense of what your likely SAT score will be. Unless you aim to score in the top 2%, you shouldn’t worry about the scholarship. You should, though, take your PSAT score seriously because it will let you know how much you’ll need to prep for the SAT to hit your target score. 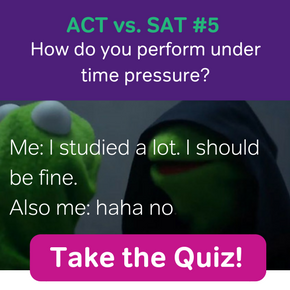 You can improve your performance on the actual SAT by prepping and practice; or, if you slack off, your SAT score might be lower than what your PSAT score would suggest. So the information I’m about to share is somewhat provisional; it might change if the ACT decides to release its own concordance tables (spoiler alert: the College Board won’t be invited). That said, for now, this is what colleges will most likely go on: ACT to New SAT to Old SAT Score Conversion Chart. As you can see from the tables on this score conversion chart, a perfect score on the ACT is a perfect score on the SAT. Though an ACT score of 35 works out to a 1540 on the SAT, remember that the ACT doesn’t have nearly as large of a score range as the SAT (36 increments from 1-36 vs. 120 increments for the SAT from 400-1600). The “old” (pre-March 2016) and “new” SAT tests are very different; a student who scored in the 95% on the old Math section might not even crack 80% on the new one, or vice versa. With a table to show which score on the old SAT corresponds to which score on the new SAT, colleges can get a real sense of how students who took only the old test did in comparison to those who took the new test. Though the tests are pretty different, another way to compare the two is by using SAT score percentiles. If a score of 800 used to correspond to the top 1%, then the same should apply to the new test. Check out this video for tips to boost your score, and read on for resources to help you before and during test day! 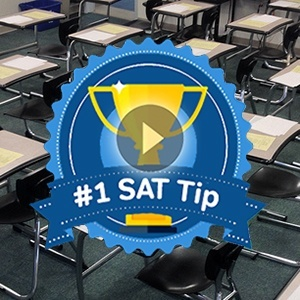 Make use of a SAT study schedule—knowing how to study for the SAT is a huge factor in improving your score! Take a free, full-length SAT practice test to establish a baseline score. Review our tips for pacing yourself during an exam. Find ways to remain calm when a question flusters you. This quiz has one page for each SAT section (3 total): Writing and Language (“English”), Math, and Reading. This quiz will take about 10-20 minutes to complete, so grab some scratch paper and a calculator, and do your best! After reading the passage below, choose the answer to each question that most effectively improves the quality of writing in the passage or that makes the passage conform to the conventions of standard written English. Many questions include a “NO CHANGE” option. Choose that option if you think the best choice is to leave the relevant portion of the passage as it is. The common setup is researchers will divide subjects into two groups, one of which is allowed to use the Internet after finishing the task, the other of which must finish the task until completion. Yet another common setup allows subjects unfettered use of the Internet when trying to complete the task. Not surprisingly this last group acted 1 worse on tests of productivity. 2 Not so surprisingly the group that used 10 minutes of web access as an incentive, tended not only to finish the task sooner than the group without any web access but also 3 worked with more vigor when their Internet time was up. Within the context of the paragraph, the underlined portion should be changed to which of the following? Solve the problem and then choose the correct answer. You may use a calculator on this portion of the SAT Mathematics Test. The length of Rectangle WXYZ is increased 20% and the width is decreased 20%. The area of the resulting figure is what percent that of Rectangle WXYZ? Mike saved 20% on a shirt before taxes. If he paid $60 for the shirt, what was the original price of the shirt? The passage below is followed by a number of questions. After reading the passage, choose the best answer to each question based on what is stated or implied int he passage or passages and in any accompanying graphics (such as a table or graph). I recently dug up a photograph of myself from freshman year of college that made me smile. I have on the wrong shoes, the wrong socks, the wrong checkered shirt tucked the wrong way into the wrong slacks. I look like what I was: a boy sprung from a middlebrow burg who affected a secondhand preppiness. I look nervous. Compare that image to one from my senior-class dinner: now I am attired in a gray tweed jacket with a green plaid bow tie and a sensible button-down shirt, all purchased at the Yale Co-op. I look confident, and more than a bit contrived. What happened in between those two photographs is that I experienced, then overcame, what the poet Meena Alexander has called “the shock of arrival.” When I was deposited at the wrought-iron gates of my residential college as a freshman, I felt more like an outsider than I’d thought possible. It wasn’t just that I was a small Chinese boy standing at a grand WASP temple; nor simply that I was a hayseed neophyte puzzled by the refinements of college style. It was both: color and class were all twisted together in a double helix of felt inadequacy. For a while I coped with the shock by retreating to a group of my own kind—not follow Asians, but fellow marginal public school grads who resented the rah-rah Yalies to whom everything came effortlessly. Aligning myself this way was bearable—I was hiding, but at least I could place myself in a long tradition of underdog exiles at Yale. Aligning myself by race, on the other hand, would have seemed too inhibiting. I know this doesn’t make much sense. I know also that college, in the multicultural era, is supposed to be where the deracinated minority youth discovers the “person of color” inside. To a point, I did. I studied Chinese, took an Asian American history course, a seminar on race politics. But ultimately, college was where the unconscious habits of my adolescent assimilation hardened into self-conscious strategy. How did you do on the Diagnostic Quiz above? What else do you want to know about SAT score ranges? Let us know in the comments! Editor’s Note: This post was originally published in June 2016 and has been updated for freshness, accuracy, and comprehensiveness. Hi.. I have scored 1420 on the new SAT(630 in English, 790 in maths), 790 on my maths level 2 subject test and I’m planning to also give physics this October… Can you give me suggestions for my college applications (I’m a CS student).. Thanks. I can tell you that those are very respectable scores. There are are a lot f good schools that would accept you. Top schools (Ivies and other prestigious institutions like Stanford or Notre Dame) are the most likely to require or prefer SAT subject tests. So if you want to make the best possible use of your subject test scores, apply to those higher-ranking schools. Hi I got a 1520 on my sat, a 1480 on my psat and 740 on my bio sat and a 680on my math level 2 sat. I’m getting super anxious about everything, so could you tell me how these scores are? You probably don’t need to worry that much about your SAT Subject tests though, unless you’re applying to a school that specifically requires them. I got an 1150 on the new SAT, 630 on the reading and writing and a 520 on the math. I also did the optional essay and got a 4. Some sites say this is average, some say it’s really bad. I don’t know if I could get higher if I retook it. Is this a bad score? This is not really bad, but your scores are also not elite scores. Take a little while and consider what your goals are and what will get you there. If you aren’t aiming for the most elite schools, then having this above average score and some strong essays alongside your transcripts will definitely get you where you want to go! The path forward from here depends on your plans. 🙂 If you don’t think you can improve this score, then your time and effort would be better spent on other parts of your application. At the end of the day, this is nothing more than a test score. Good luck, Grace! Hi Magoosh, I am planning to apply for Stanford, Harvard and MIT. I got 1470 for the new SAT (730 for reading, 740 for math), 21/24 for essay, 800 for Chemistry and 800 for H2 Math Subject Tests. Do you think I should take the general teat in October for this year’s application? Seeing your projections, the score seems to be a risky bet. Thank you! Hi, I got an 1150 in the new SAT, 580 math, 570 reading and all 6’s on the essay for a total of 18. Is that a decent score? Most schools I’m applying to Have a middle 50% of 1700 old SAT, so I’m not sure that score is in the range. An 1150 on the new SAT is equivalent to about 1590 on the old SAT. So you may need to retake the SAT and boost your score a little bit to reach that midpoint at your target schools. Also, for future reference, I’m happy to tell you that Magoosh has a conversion table for this. Check out our ACT to New SAT to Old SAT score conversion chart. Hi I got 1340 on the new SAT (620-english and 720-math) will this be good enough for University of Michigan and Vanderbilt University? If we are looking at only your SAT scores (outside the rest of your application), your current scores may still be a stretch for your two schools. Vanderbilt University has SAT score (25th-75th) Percentile Range of 1470 – 1580. The University of Michigan has a range of 1350 – 1510. For both schools, your current score is within the bottom 25th percentile of accepted students. In this case, if you have time and flexibility, I would recommend that you prepare for and try to take the exam again to increase your chances. Will the new Sat be superscored out of just math and reading/writing or will it be your best math score, best reading score and best writing score? That’s a good but complicated question. 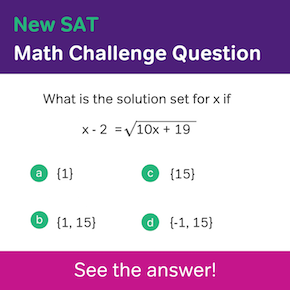 On the new SAT, there is a whole-test score, and a number of different kinds of individual scores that assess your abilities by both section and question types that appear across multiple sections. The new scoring system is a bit complex, so we’ve made an article to break it all down for you. See our SAT score range article for more information. First off, I have some good news– universities hold international students and domestic students to the same standards for SAT. This is good news because it means you don’t have to try to figure out a separate set of requirements for yourself, other than the main requirements you see in this post on on university admissions websites. Based on a quick glance at Chris’s multipart chart in this post, your SAT score is competitive at a number of good schools– UNC Chapel Hill, UCLA, and NYU, to name a few. Carefully check through the chart to see other schools you may be eligible for. I also recommend using a tool from the official SAT website: the College Board’s Big Future College Search. In that search engine, you can enter your SAT score and other search criteria to find schools and degree programs that are right for you. This was really helpful. Although what I meant by my earlier comment was that the score is my current baseline. How much should I realistically expect to improve in the coming months? Is an 1190 a decent score? I’m really considering retesting but was just curious on where that ranks and how it makes me look as a potential student to a university. Would a gpa of 3.7 out of 4.0 (AP classes) make up for an 1190? An 1190 is at the lower end of the middle 50% range (25th to 75th percentile) for some top schools such as Purdue and Penn State. Unfortunately, that score is even less competitive for other top schools. That being said, a 3.7 GPA with a roster of APA classes can DEFINITELY compensate for an 1190 int he eyes of a lot of admissions offices. To know just how good your chances are at specific schools, you’ll need to contact those schools’ admissions departments of course. But I’d say that overall, it looks like you have a good chance at getting into a good school. Hello I have a 1420 SAT, and a 710 on both the Biology E and Chemistry Subject SATs, a 3.9 UWGPA and a 4.86 out of 6 WGPA. I will also be a certified clinical medical assistant by May 25 of 2017 (when I graduate). Where would that place me as a pre-med major whose planning on applying to Emory,Rice, or Johns Hopkins. First of all, it’s hard to say as these ivy league universities look at more than just the SAT scores. They look at your GPA, extracurriculars, essays, and recommendations as well. Your SAT score is within the range, but you’ll need your other pieces to help you to stand out. Given your score, you definitely have a better chance at schools like Brown and Cornell. However, it would have been better if you had a more balanced score. So, it will be helpful if your academic record shows that you also excel in English as well to make a better case. Hey guys, I am a senior from Ethiopia. I have a 1260 total SAT score (570 on the Evidence based reading and writing & 690 on the math section.) My school grades are outstanding even though I didn’t do well on the SAT. Plus I have good extracurricular activity records. Can you suggest me any college which might accept me and give me financial aid (full)? That’s a really tricky question. Scholarship policies and funds vary so much from school-to-school, and they depend on many different factors, including your national origin, race, gender, age, intended major, high school GPA, the particular kinds of extracurriculars you took, and more. So I can’t recommend a specific school to you. I can tell you that with your profile, you’ve certainly got a chance at finding a full scholarship somewhere. I recommend inputting your personal and academic information into the College Board’s scholarship search engine. That will bring up a list of scholarships you may be eligible for, and a list of schools associated with the scholarships. I also suggest directly contacting the international admissions offices at any schools you apply to. Ask these offices if a full scholarship might be possible, and what kinds of scholarships you can apply for. International admissions reps are always very happy to help overseas applicants get funding. Now, most scholarships are school-specific. that is to say that they will only find studies at one specific university. However, there are also national scholarships to consider. One of the largest American providers of national scholarships for international students is the U.S. Fulbright program. (This is funded by the United States Federal Government.) Every overseas country has its own Fulbright office. I recommend contacting Fulbright’s Ethiopia office to see if you may be able to get full funding for an American university degree via Fulbright. Hello, I just received my SAT Scores. I got 670 on the English section and 690 on the Maths Section. I got 16/24 on the Essay portion. Are these scores good enough to get into top colleges? It’s really hard to say whether you’ll get into a certain school knowing only your SAT scores. Remember, these scores are only a piece of your overall application. It’s really case-by-case. However, to ensure that you’re a strong candidate, you want your SAT score to be at the median or in the upper quartile of scores for accepted students at your target programs. should I even consider applying to it? If you are not reaching the 25 percentile for the college, you want to either retake the exam or make sure the other pieces of your application are strong (similar for midpoint–but you’re in a better situation here). I think if you really want to go to a specific school/program, you can have a reach school and really take your time to show why you’d be a great fit. However, definitely apply to schools of various ranges (i.e., safety, target, and reach schools). a bit further, it breaks out as 32 reading 37 writing and language and 39.5 for math. same or improving a bit? Thank you for your valuable insight and input. Based on those stats, it looks like your son is comfortably above the 760 bottom score in math for the middle 50% of applicants, which is great! Unfortunately, his Verbal scores are indeed outside of the competitive “middle 50.” In MIT’s current middle 50% range, the minimum score for SAT reading is 710, and the minimum for SAT Writing is 700.
hard about taking the SAT again. Thank you for your response. This site is very helpful! I am giving sat in december and i really want to be prepared before the exam. Push these scores uptill 1540-1560. How can i prepare for english? Also what are some good books for sat? I have got 1210 in New sat, 7/5/6 (18/24) in essay. My sat score is low compared to essay score. Though my high school percentage is 80. Will I get schoolarship on basis of essay score? Please suggest me universities that will give me full schoolarship. I am an indian student currently studying in Kuwait. I got a SAT score of 1370. Thats 660 and 710 on verbal and math respectively. My dream schools are Michigan, UIUC and Georgia tech. Ofcourse I will be applying to Ivies and UCLA and UCB as well. I have excellent extra curriculars, high praising LORs from my teachers and principal. Do I have a good chance at attending these schools? If the other pieces of your application are strong, then you always have a chance! However, I will say that your SAT score is a bit on the lower spectrum of the accepted ranges. The SAT is only one piece of the application; however, if you would like to strengthen your application, I would recommend retaking if you have the flexibility. With a higher score and the rest of your application, you would be a strong candidate. 1300 definitely does have some scholarship potential, possibly even up to 75% funding. That all depends on the exact rules of the scholarships you apply for, though. It’s also important to remember that some scholarship foundations place most of their emphasis on test scores, while other scholarship organizations focus on other factors. To find the best scholarship you can get with your SAT score, I recommend going to the College Board website’s scholarship search and inputting your SAT information and all of your other personal info. It can’t hurt to also check with the financial aid offices of schools you’re thinking of applying to. College financial aid reps can be very helpful if you ask about scholarships, and they may know of a few funding sources that you won’t find in most Internet scholarship searches. hi, i will be doing my SAT for the first time in january, i will bee studying for the test alone with no tutor . how much am i excpected to score on the test as a self-taught? I got a 1230 and have a GPA of 4.123, what’s my probability of getting in UT Austin and A&M ? Thank you very much! With a 730 on math and 500 on reading&writing. Hi Steve. Texas A&M’s 25th percentile SAT scores are currently 1560, and UT Austin’s 25th percentile SAT scores are at 1690 right now. So your SAT score is on the low side for both schools. There’s at least some chance that a really high GPA could help. But your SAT score is far enough out of both school’s middle 50% range that I recommend retaking the exam if you really want the best possible chance at admission to Austin or A&M. Steve– so sorry about that! I misread what you’d written. Under the new SAT score ranges, a 1230 puts you just below the middle 50% range for UT Austin. Their middle 50 are students with an SAT score of 1240-1480. An especially high GPA could offset that though, since you’re near the top of the bottom 25% of students that Do get accepted. Texas A&M’s middle 50% of accepted students have SAT score ranges of 1200-1360. So right there, you’re comfortably within that middle 50% range and have a good shot. I don’t believe your lower Reading & Writing subscore is low enough to be an issue, especially because both of these universities seem much more focused on whole-test scores when i comes to university admissions. I got a score of 1210 on the SAT nd also my GPA is low what is the possibility of application getting accepted in Purdue University. What should I do to get in a good university? I’m really concerned about my applications being rejected.Not forgetting to mention I’m an international student and with Trump being elected as president will it affect international students for studying in US. Purdue’s middle 50% New SAT score range is 1160 to 1380. So your SAT score is in acceptable range for Purdue, and possibly competitive enough to compensate for a lower GPA. To have a shot at as many top schools as possible, it’s of course a good idea to have an SAT score of at least 1350, and ideally over 1400. The higher the better, really. If you’re applying to schools that only look at your top SAT score (this is the policy at most but not all top schools), it might not hurt to retake the SAT and see if you can get an even higher score on the next try. Depending on what country you’re from, a top score on an English proficiency exam like the TOEFL or the IELTS may also give you an edge. As for the upcoming affects of the new presidential administration, right now, there’s no indication that there will be significant changes to student visa regulations specifically. If changes do occur, they probably won’t be related to GPA or test scores. In general schools don’t have separate SAT score or GPA requirements for international students anyway. You’ll be held to the same standards as domestic students int hose areas even if laws change. The only different testing standard you might face is a possible TOEFL/IELTS requirements. And those requirements don’t change when immigration laws change either. Hi, I got 1410 on the new sat (610 in english and 800 in maths) and 20 on 24 in the essay. is this a decnt score to get into top 25-30 universities? Congrats on the good score! Your score is definitely within the range of some of the universities in the top 25-30. I would say that it would be best to have your score closer to or more than the median score. The primary reason is that these top programs are very competitive, so you want each piece of your application to be comparatively strong. That being said, the score is only one part of your application. So it’s hard to say whether a certain score is enough to get accepted by a school. If your other pieces (i.e., GPA, recs, essays, extracurriculars, etc.) are also strong, then I think you may have a decent chance with your score. If you want to strengthen your chances at these schools, I would consider retaking the exam and targeting the median of your top target program. Good luck! It’s hard to say exactly which schools you should apply for given the number of variables in play. You want to look at the location, culture, programs, student body, and other offerings of the school to ensure that you’re a good fit for the university. At the same time, you would also want to compare your SAT score with the accepted SAT scores of the university. Please also note that your SAT score is just one part of your application, and the school will look at your full application when reviewing your candidacy. I would recommend taking a look at a list of programs, such as a ranking like this. Then, you can review programs that you want to further explore. You will be able to see SAT scores on their website. 760 for English. What schools do you think he should aim for, he would like to go to a top school? Very impressive! With those scores, your son should have a shot at just about any top school, so long as the rest of his application also looks good. willing to apply to Washington and Lee university. What are my chances? Washington and Lee University’s official SAT statistics are displayed in a somewhat confusing way on their website. From my reading of those requirements though, it looks like your SAT score may be a little on the low side, especially in English. Still, you do seem to have a fairly competitive GPA. This may increase your chances of acceptance. But to be sure, I’d recommend contacting WLU admissions directly, If you explain your situation/profile to them, they can advise you of your chances of acceptance with your GPA plus your current SAT score. hey ! I’m an international student, I got 790 on chemistry and 730 on math SAT subject tests, and 1350 on the new SAT (580 reading and writing , 770 math ) and I won a bronze medal in the international chemistry olympiad (ICHO). which universities should I try for and what is my chance for each one? Based on your new SAT score alone, your score is in the middle 50% range for the following top 30% (first 3 pages of the table in this post) schools: Berkeley, Georgetown, Boston College, University of Michigan-Ann Arbor, UNC-Chapel Hill, and UCLA. Your SAT Subject test scores and your ICHO awards are definitely impressive, so you may have a shot at other top schools,e vne if their new SAT middle-50% score range starts at higher than 1350. Exactly how good a chance you have depends on many factors– other aspects of your application packet, how many other students are applying at the same time as you, your intended field of study, and so on. So to get an idea at just how good of a chance you’d have at any given school, I recommend contacting the school and asking. Admissions reps are very used to answering those kinds of questions. And I’m sure a lot of top schools would be happy to give advice to a strong applicant like you. Hi, I got a 1210 on the new SAT. Is this score good enough to get into the University of Oregon? Currently, the University of Oregon’s middle 50% of accepted students have new SAT scores ranging from 1080 to 1290. So your recent score is comfortably in U Oregon’s “acceptable” range. Congratulations! I got SAT score 1530(780RW/750Math), 780 Chem subject SAT and 730 Bio subject SAT. I am interested in Brown, UPen, Northwestern and Georgetown. I would really appreciate if you can provide some expert opinion on the chances and what else I should get in my portfolio. A 1530 on the New SAT is competitive by the standards of Brown, UPenn, Northwestern, and Georgetown. Your SAT Subject Tests seem pretty good, but every school has its own policies for how SAT Subject scores are weighed in admissions decisions. The value of your SAT Subject scores can also sometimes vary depending on your intended degree major (if you have one at this point). As for what else you should put in your portfolio, this too varies a lot from school-to-school. So you’ll want to talk to admissions reps at those schools for the best possible advice. I can tell you that as a general rule, good letters of recommendation, evidence of volunteer work, past paid work experience, and extracurricular participation in high school are all valuable assets in an application packet. I gave two attempts at the SAT. Since I’m applying as an International Student (and thus need some scholarship too), which top Universities do yo think I could go for? PS: I’ll also be giving my SAT Subject Tests of Math Level 2 and Physics (should I also go for Chemistry?) next month too. What advice would you have for me in regards to the colleges that I should apply to and any suggestions for some “safety schools” where I have a definite chance to get in? With those scores, you have the potential to be accepted into quite a few different good schools. Most universities– even the top ones– will only consider your highest score if you take the SAT more than once. So we’ll focus on the 1460 you got on your second attempt. With that score, you are in the easily acceptable middle 50% range for 4 of the very top schools on the first page of the table in this post. Among these highly competitive schools, your New SAT 1460 makes you a contender for Columbia, Stanford, Duke, and UPenn. Regarding your international status, this shouldn’t affect SAT score requirements at most top schools. Still, occasionally, some schools will hold international students to different (lower) scoring standards if they come forma non English-speaking country. Never assume a school will do that though– like I said, it’s a rare practice. I am am international student and I got 1110 in my SAT. Is this really bad? Do I have a chance at any good schools? Scholarship? 1110 is a little bit low for the absolute top schools. However,t here are a lot schools that are still pretty good– just not Ivy-caliber– that would probably take you with an 1110. As for scholarships, those are based on many other factors, and not just SAT score. (This is especially true for international students!) So it’s a little hard to predict the exact impact your SAT 1110 would have on your scholarship opportunities. Certainly with that score, there are still scholarships that you’re eligible for. Still, if you can add at least 50 to your 1110, a number of truly “top” schools will be within your reach. So a retake may be worth your while. Hi! Thanks for the great site! We don’t have a lot of safety schools on our list right now. What do you think his chances are? Those definitely are good SAT numbers! For general SAT scores, your son appears to be well within the comfortable “middle 50%” range for UCLA and Berkeley. For Stanford, your son is in the middle 50% too, but in the lower part of that range. Your son’s scores appear to be above average/competitive for Harvey Mudd. As for SAT Subject scores, your son’s performance on those exams is competitive too…provided SAT subject scores are actually a factor in admissions decisions. That varies a lot, depending on your son’s intended major and the policies of the individual schools he’s applying to. Ultimately, I recommend contacting your son’s schools directly for the most reliable guidance on his odds of getting in. But based just on what you’ve told me, it sounds like he has a good shot at any of the schools you mentioned. I have a score of 1540 in Sat 1 ( 800 math and 740 english) as well as sat subject test scores of 800 in both math lvl2 and phy. What are my chances of getting into Upenn and brown ? Additionally, you may want to contact the schools directly to see if they can offer any insight, or check out the university websites to see if they have any info! I am an international student and I keep getting b\n 720-760 on math section but I keep struggling on the English section. I have to score above 1500 and so I would appreciate it if you tell me everything I can do to improve on the English section. How to get a perfect SAT Reading Score. My daughter is 15 (but a Junior in HS). She just took the PSAT and received her score back. 980 total with 480 Reading and 500 on Math. She is anticipating an athletic scholarship and academic also. I realize this needs to be higher, but where is she really? In theory, of course, you can get your SAT equivalent by adding 80 to your PSAT score. This would put your daughter at a 1060 on the SAT. In reality, it’s very hard to tell exactly where your daughter is at on the SAT until she takes the SAT itself. I’ve found that a lot of students with so-so PSAT scores go on to score a good deal higher on the SAT. This is because taking the PSAT helps build students advance their SAT skills. Is this good enough for georgia tech or Purdue? Based on your test scores, you are within the test score range for both programs; however, you are in the upper quartile for Purdue and lower quartile for Georgia Tech. As such, you have much better chance at Purdue. Now, remember that your test scores and grades are just a piece of your full application. Strong essays, recommendations, and extracurriculars play a large role in your application as well. I just scored 1220. I am not thinking of applying to ivy league but still is my score good enough for universities? I am thinking of studying Information Technology.Can I still apply for scholarship?Any suggestion for universities? In which American universities can I pursue a degree in Computer Engineering as an international student with a SAT score 1070/1600? I got a 1410 on the new SAT. On math I got a 740 and on reading/writing I got a 670. Also, on the essay I got a 21/24. I really want to go to Columbia, NYU, or Stanford and I don’t know if my scores are good enough or not. Good job on your SAT! Before I answer your question, I do want to mention that your test scores are only one part of your full application, and that the admissions office will look at your total package when considering your candidacy. Now, if we focus primarily on your test scores alone, you first want to be within the 25-75% percentile scores for your respective programs. Even better would be to be at the median or higher end of this spectrum. He applied to UC schools, private schools, and Cal State schools. He is mostly interested in attending either USC, or UC San Diego. Is his score in line with admission to the schools he is interested in attending? Among the California public universities, UC Santa Cruz seems promising. Their SAT range is 1080-1340. Still, the average GPA of admitted students is 3.76. This doesn’t mean your godson shouldn’t try for schools like USC or UC San Diego. Very few California universities have absolute rules or strict cutoffs. If other aspects of his application are strong, your godson easily could get accepted at one of his target schools, even with his GPA and his current SAT score. As a sophomore, I got a 1420 on the new SAT (740 math/680 reading&writing). I currently have a 4.375 weighted GPA and 4.0 unweighted (never made lower than a 98 in any class). I am also taking my first AP class this year and will be taking a minimum of 2 per year as I finish high school. What schools should I be looking at for college and how much do you think I can realistically grow my SAT score? If you could cater it more toward math and business schools that would be awesome. Our expertise is in test prep, not college admissions, so I’m afraid I don’t have a good answer to the question about which colleges you should look at. I can say that with your current credentials you will be extremely competitive for most top schools, and besides that I think you should start doing some research on programs and schools to find your dream school! How to boost the score to 650? I am a 9th grader . I got a score of 1300 in the psat (620 in reading and writing /690 in math ) . Is it a good score for a 9th grader ? Do you think i can boost my sat scores and stand a chance for the Ivy umiversities? I scored just 770 at SAT. what should i do now? Is there any scholarship under this score. What I really recommend though, is retaking the exam. I’m sure you can raise your score with additional study. As you prep for a retake, you may want to focus on test strategies (multiple choice elimination, pacing, skimming, scanning, mental math, etc…). Often when test-takers score low, it’s because they struggled with exam strategy rather than content knowledge. How much chances she has to get In MIT or Stanford or University of Chicago. Does she need to sit for the SAT again? Her SAT Subject test scores aren’t bad. However, the Subject tests may or may not increase her chances. Every school and department has different policies on SAT Subject tests. So you may want to check with your daughter’s prospective schools to see what difference her Math and Physics scores make. Still, she has a very good chance at those top three school choices either way. Nice work on her part! may I know where could i find the best sample papers for SAT prep? I will be preparing for this year and will be writing my exam in 2018. I would also like to receive suggestions on the same. My score for the new SAT was 1570 (800 Maths/770 Language). Yet for some reason I went full irrelevant during the essay so I got a rather mediocre 4/5/4. I hope to get into the MIT, yet with such essay score would it be too precarious for me? Is it possible to re-sit for just the essay? I also received my A Level result a few weeks ago, which was AAAA/B (General Paper). Would that help boost my chance? First of all, congrats on the great overall score! Now, I do understand that your writing score is a bit lower than you would have hoped. Ideally, it would be better if it were slightly higher. However, it’s hard to say exactly how your essay score will impact your acceptance to MIT given that there are a number of variables each school takes into account. Remember your scores are only one piece of your application. That being said, given the new nature of this optional essay, a number of programs are not focusing as heavily on this section, but at the same time, some of the top programs still are. I would recommend that you contact your target school and see how much emphasis they place on this section. I am aspiring to give the SAT in the coming year. Any tips on how I should be preparing or study materials? I just got my SAT scores back, 1010. I know that this won’t be accepted by any colleges, but I’m only a Junior in high school, so I have time to bring that up. What I was wondering was, how many times would you recommend taking the SAT’s and good (and cheap) ways to study. the average SAT mark in UMD’s engineering program (1415). Evidence-Based Reading and Writing and a 460 in Math. I’ve heard a lot of opinions but would like a professional one. Is a score of 1070 on the SAT a good or bad score? colleges? I’m pretty sure my GPA WAS AROUND A 3.50 to a 3.70 or a 3.80. Even with a higher GPA, such as 3.8, a 1070 is on the low side. You have a shot at mid-tier schools and lower-ranking schools. But getting into a top university with a 1070 could be hard. I would definitely recommend retaking the SAT if you can. A higher SAT score will especially valuable if you combine it with a good GPA. My GPA is around 2.95 and scored a 1230 on the SAT. I also took the SAT with the essay this May. I struggled freshman year but have improved each year since. Will colleges take notice of my improvement over the past few years and my fairly good SAT scores when they are evaluating my application? Hello. I want to know if a 1000 is a bad score. 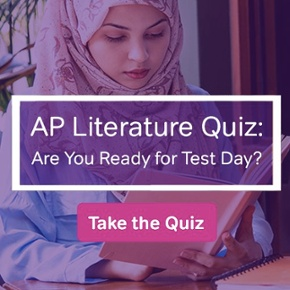 I took the SAT with Essay on April 11th (SAT School Day) at my local high school as the SAT is a graduation requirement. I’ve never really experienced with any of the standardized tests, so I ended up getting this score. So, is a 1000 bad on the SAT? 1000 is a little on the low side for getting into a top school. However, it’s not bad per se if you’re aiming for a smaller, mid-tier public university. I’d still recommend retaking the SAT if you have time. If you can boost your score by 50-100 points, your prospects at higher-ranking schools open up a good deal. My son who is in 8th grade took SAT in May, we just got his scores, Math 670 and Reading 630. Is his in the right track? My daughter took PSAT in school as a sophomore in October of 2016. She got 580 for reading and 540 for math. I know those are not the best, but how are they? We were not planning for Ivy League for different reasons though… We just want a good solid college. Will that score get me scholarships? I took the new SAT twice. My questions are first which test score should I submit to the administration? Second, what are my chances for UC Davis, UC Santa Barbara, Cal Poly, and University of Washington? Those are some nice scores, so congratulations. 🙂 Most universities only care about your highest SAT score, so unless you’re specifically asked for all SAT scores, just submit your 1310. Your score is in the acceptable range for the four universities you mentioned, and will also be acceptable to many other comparable schools. I received a 1320 on my SAT back in 2011. I always thought it was bad because I heard the average SAT score in 2011 was 1500. Now I’m reading that 1320 isn’t bad, but when I research I still see that the average in 2011 was 1500. Could you please tell me what’s true? What do the colleges mean by extra curricular activities ? i’m a freshman this year and want to be prepared for the sat in a practice test i took i got a 1140 a 580 math and a 560 reading. is this a good spot to be at for a freshman? what advice would you give so i can improve my score in the next two years? The SAT is intended to be a measure for students finished with high school, so this is a good place to be right now in your position. You need to work equally on math and reading, but luckily this should happen throughout your high school career. 🙂 If you want to continue working toward SAT greatness, you can continue to use official resources to study on the side as you continue. I’m trying to get into college at the end of my sophomore year. In the junior year I’m taking only AP Calculus. I scored 99% on ny PSAT (13 on one test and 14 on the rest) in April of my sophomore year. What will be my chances of getting into college? I’ll need to take the TOEFL? The TOEFL requirement doesn’t usually have to do with the SAT. It is often a condition of visa approval and/or proving language ability if you were educated in a language other than English. The SAT, in contrast, is an academic readiness exam. So you will need to learn your chosen university’s requirements to be sure about TOEFL needs. I got a 1390 (math 700, reading 690) doing my 11th grade from India. Interested in applying to good technology / engineering schools. Based on this score, please advise potential schools I can apply to. Thanks for your advice. First of all, congrats on taking the SAT and getting such a stellar score! 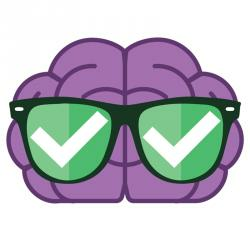 It’s not easy to score in the 94th percentile, so you should be congratulating yourself 🙂 Unfortunately, however, I can’t give you a great answer to that question–our expertise is in test prep, not admissions advice. In any case, this is something that you will want to research on your own so that you can get a sense of the school’s requirements and ‘personality.’ I recommend that you start with general internet searches (where you can find lists like this one) and then do further research into the individual schools. Remember as well that, on average, students improve their score by 50 points from 11th to 12th grade, which means that you have a good shot at improving your score even more if you take the SAT again next year 🙂 Best of luck! Would this be enough to apply to Ivy League schools? First, congratulations on a stellar SAT score! Wow! Second, our expertise is in test prep, not admissions advice, so I can’t answer your question with 100% certainty. This score is definitely within the range for the Ivy League and top-tier schools that we list here, but admissions to top schools requires more than just a good SAT score. You will need to be sure to craft a strong application to go along with that great SAT score 🙂 Good luck! First of all, congrats on a stellar SAT score! You are certainly within the score ranges of several of the top schools that we list here, and that could mean that you have a decent shot at an Ivy League. Keep in mind that admissions decisions are complex and take a lot of factors into account, so you should take lists like these as general guidelines to start your search. Good luck! I got a 1310,with 700 math and 610 reading and writing… Any good uc schools I can get into?? ?